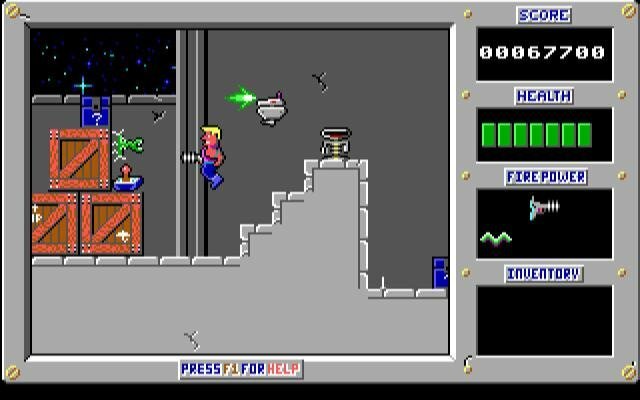 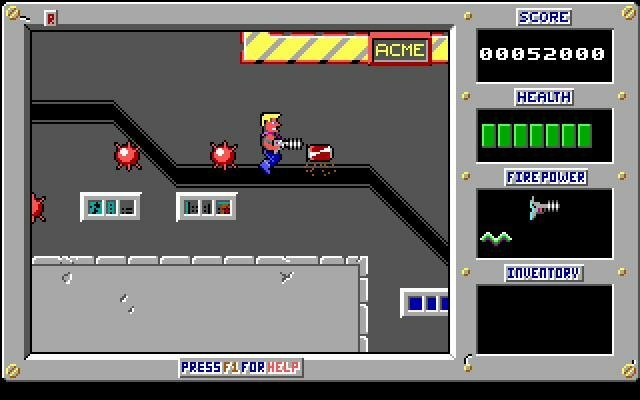 Before Duke Nukem 3D there was Duke Nukum – an arcade game much in the same vein as Commander Keen. 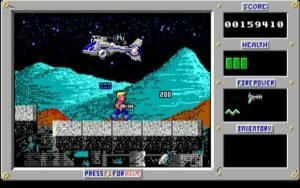 It featured huge four-way, dual-scrolling playfields with realistic graphics and animation. 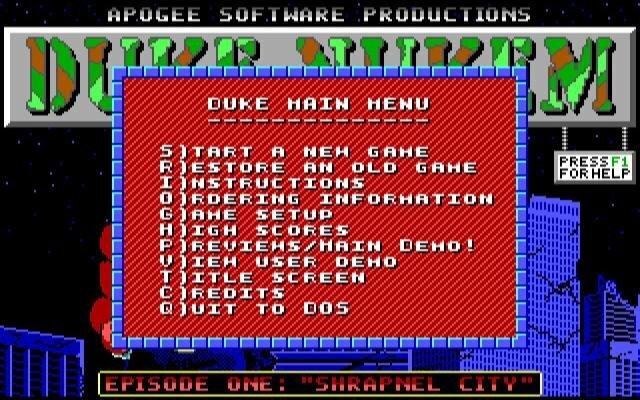 Duke is your typical side-view platforming action hero, who can jump, shoot, ride elevators and grab power-ups. His movements aren’t quite as complex as those seen in Keen, but he’s tough enough to get the job done. 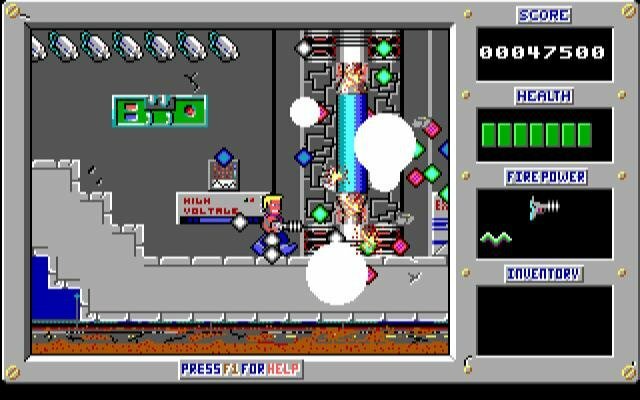 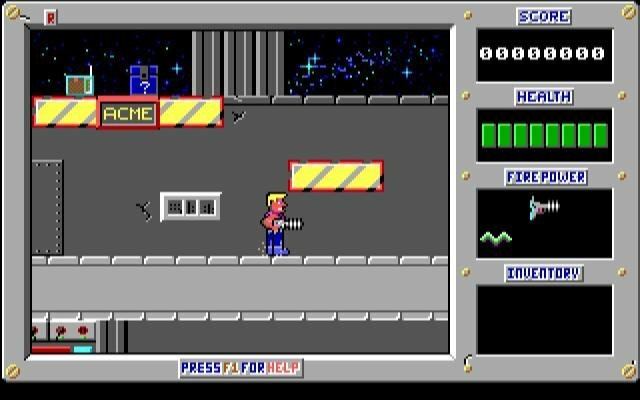 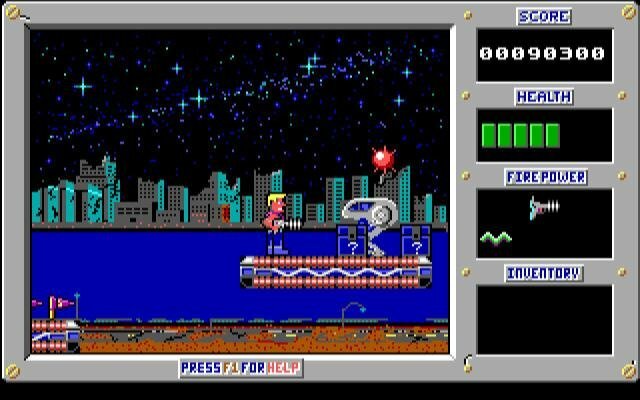 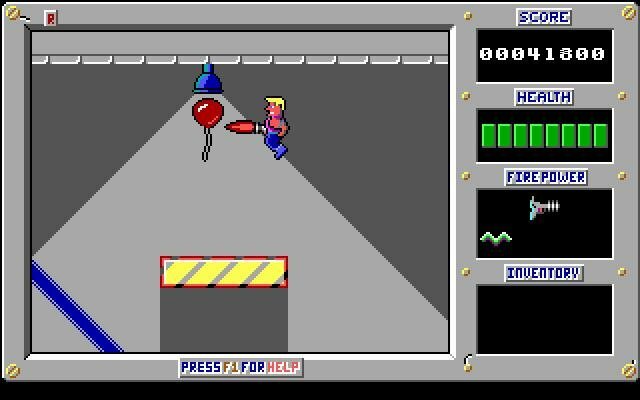 What’s unique about Duke Nukem is that you can do stuff that other platform games won’t let you do, such as shooting almost everything you see. 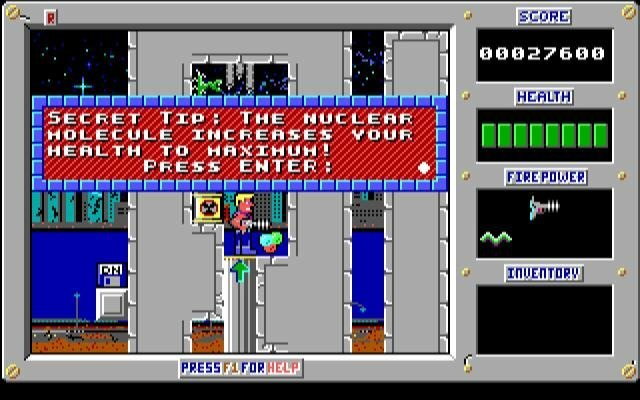 Viable targets include security cameras, boxes, and bricks. 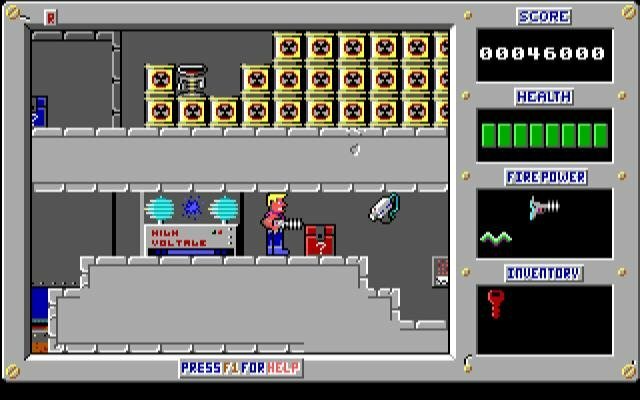 There are three types of boxes you will come across, and the contents of each one varies – you could get a health boost if you’re lucky, or a bundle of volatile TNT. 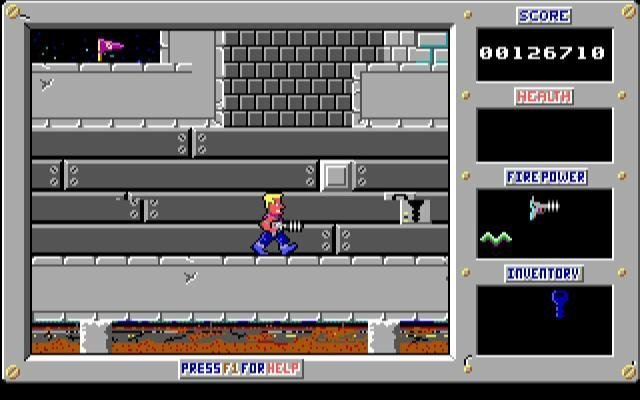 The levels are typical to platformer action games, with key cards, locked doors, hidden power-ups and plenty of enemies to blast along the way. 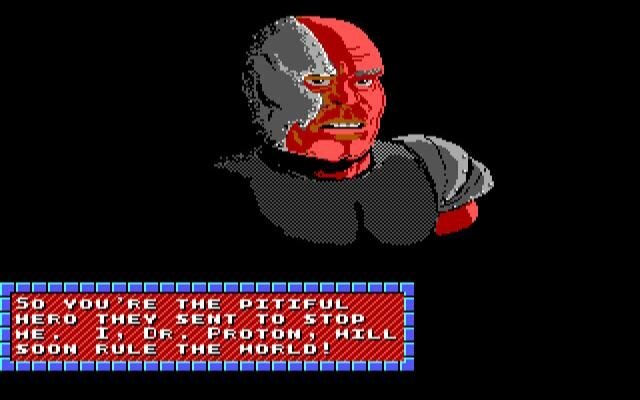 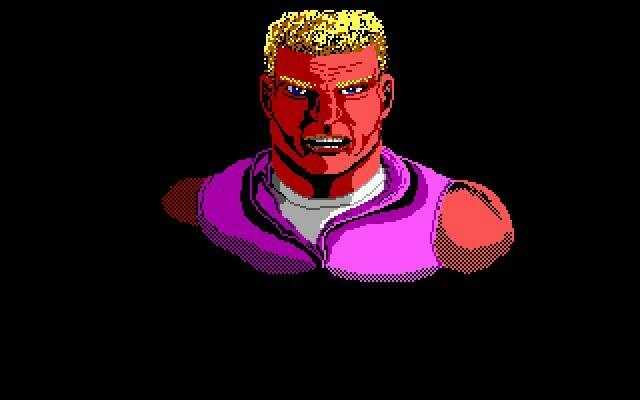 Duke is a tough buzzcut dude, and can sustain up to 8 hits before finally losing the game (he can also recharge his life with various pick-ups, like soda cans or the coveted Nuclear Molecule (think: Atomic Health). 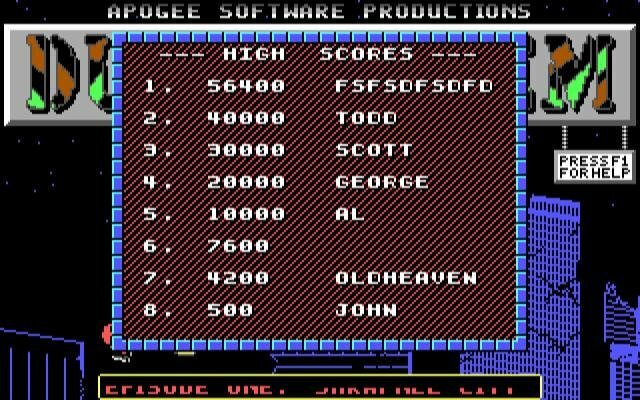 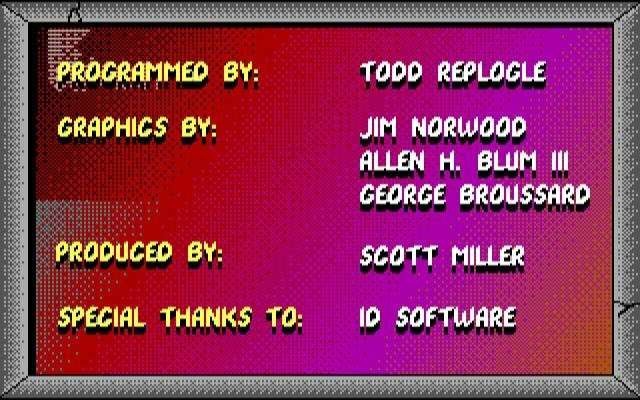 Overall it’s a fun arcade game, with a logical difficulty curve and interesting levels. 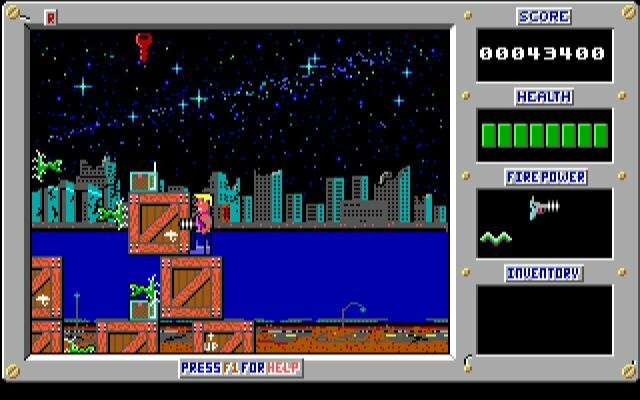 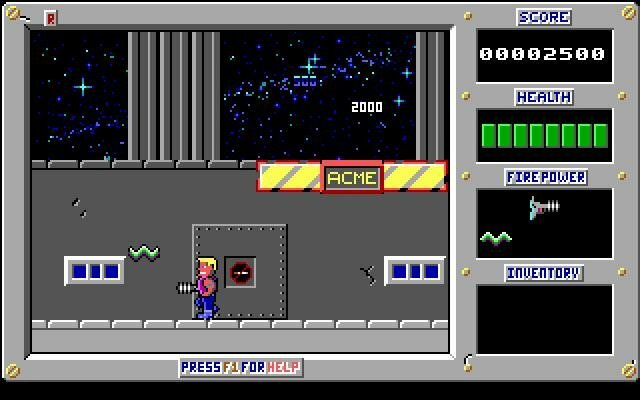 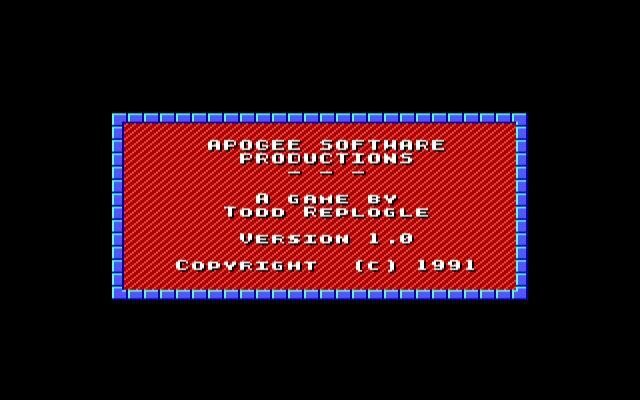 Like Commander Keen, the game was divided into three episodes: Shrapnel City, Mission: Moonbase and Trapped in the Future.